Writer’s Read in collaboration with the CURC in media studies is proud to present a public talk with writer and cultural critic Carl Wilson on Tuesday, October 7 at 1:15 pm in Room H 613. Carl Wilson is the music critic at Slate and also writes for The Globe and Mail, Hazlitt, The New York Times Magazine and many other online and print publications. His book Let’s Talk About Love: A Journey to the End of Taste was republished by Bloomberry Press in 2013. While Let’s Talk About Love begins as a critique of the popular singer Celine Dion and the critically acclaimed text quickly broadens into a deeper exploration of the meaning and impulses which drive one’s personal taste. 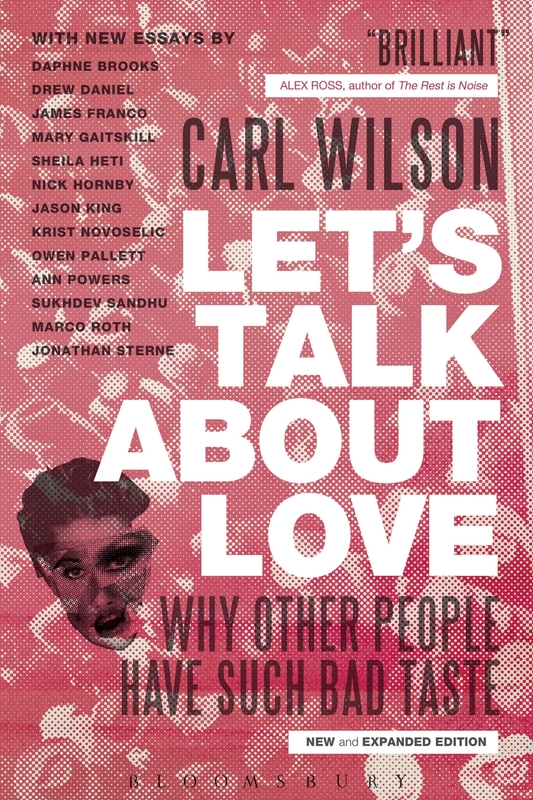 This new and expanded edition features writing by various authors, musicians and artists, including Nick Hornby, Krist Novoselic, Ann Powers, Mary Gaitskill, James Franco, Sheila Heti, as well as a new afterword written by Wilson, examining recent cultural changes in love and hate, including the impact of technology and social media on how taste functions in the 21st century.